I live in South Manchester with my husband, our 7 year old daughter and 3 year old twin sons. I'm a childrenswear designer and have been with the same company for over 11 years. I've worked part time since having my daughter and now work during school hours (so 3 days split over 4 Mon-Thurs). I'm able to do the drop offs/pick ups and be there for that after school/dinner time/homework wind down. These are 'set hours' but if I ever have to shuffle my hours around a bit or work on an evening it's never been a problem. Everyone is a winner in this situation.. I still hit all of my deadlines and do a good job, I miss the rush hour traffic and the kids and I have our valuable time together through the week. Probably the cafe at Whitworth Art Gallery... a big glass box surrounded by trees!! Close to what I currently work. I would say working during school hours as the core of the job and working during the early evening if I have to shuffle my day around due to school plays/special events etc. It changes all the time but at the minute its Ceremony by New Order. 5. 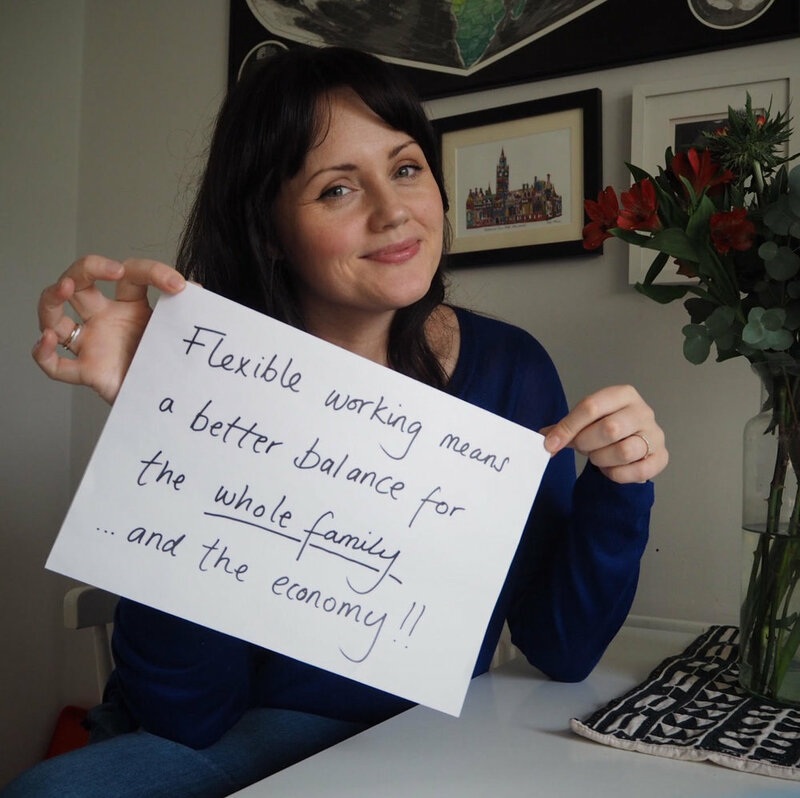 Why does flexible working appeal to you? So many reasons. I've had many conversations with people with and without kids about it. I feel like it's a shift that needs to finally happen to suit our modern way of living. It's great for people's well being and the economy.. it helps equalise the workplace when it comes to working mothers and fathers and ultimately would play a big part in closing the gender pay gap. I want to spend time with my children when they finish school for the day and be proud of my design work.. flexible working allows me to do this.